KANAIR is a french based company, specialized in distribution of inner tubes in Europe. OHSAS 18001, certification ensuring heatly and security at work. We offer you a wide range of tubes in all different sizes and dimensions, that can fit any type of vehicle! Made in Europe, this quality heavy-duty inner tube is made for all off-road hard work. The greater thickness ensures an optimal resistance for agricultural and forestry machineries and protects your engine against puncture for a longer use. MORE INFORMATIONS ABOUT OUR HEAVY-DUTY INNER TUBE, CLICK HERE ! Each Kanair FORCE tube dimension can cover a wide range of tyre sizes. 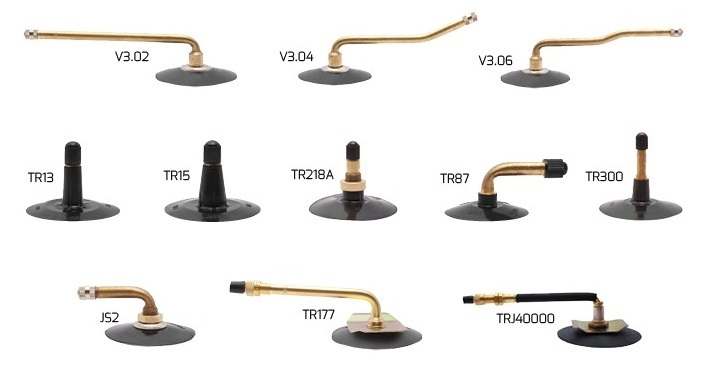 From all type and size of tractors to farm equipments, our inner tubes are usually provided with a TR218A target valve for an air or water easy ballast using. Each inner tube dimension can cover a wide range of tyre sizes. Our range covers also all type of automobile, including vintage and collection models. We propose you a specific motorcycle inner tube catalogue for motocross, endure or vintage models. Kanair range includes heavyweight vehicles like lory, van or wagon. Kanair extends it inner tube range for tractors, telehandlers, backhoes, loaders, mini elevators, motor graders, and other industrial machineries. Especially for wheelbarrows and carts, you can win montage time and order the kit inner tube and tyre. Toric joints ensure a better sealing. JOINT CORNIERE A20 (TYRAN) 20"